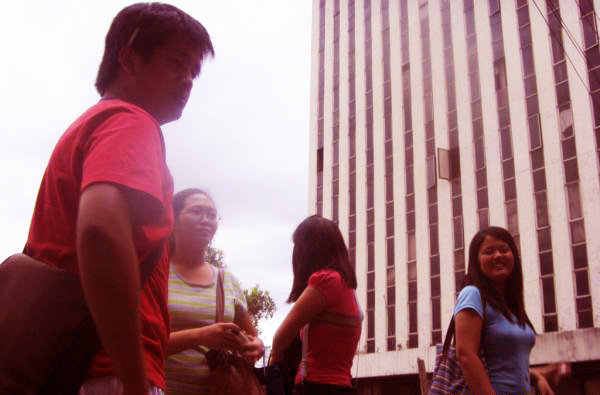 I was so ecstatic to finally be going back to Intramuros. 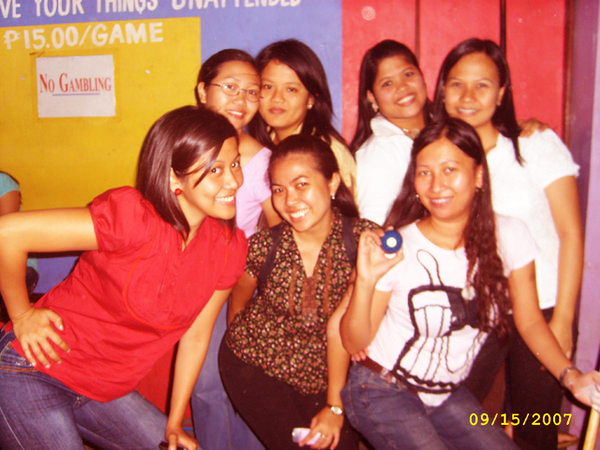 I totally miss my college life--just the good times though. I don't want to go back studying! Hahaha! But things were much less complicated back those days. I can't even believe it's been that long (4 years) since I've set foot in my Alma Mater. This dinner buffet was already planned last year, around September. Thank God we finally had our schedules aligned so we can do this! So much has changed, so much has stayed the same. Of course, I forgot that it was our school's foundation day celebration (YAY, SCHOOL SPIRIT~)! When we got there, there were a lot of people. A lot of cars. A lot of dressed up students. Seriously, ready-to-party, this-is-a-club-not-a-school kind of dress up. How times have changed. Hell, during our time (I can't believe I'm saying during our time! ), we can't wear shorts or anything skimpy (as if I will wear one). We can't even wear those flip-flops! We would stick band aids on our foot just to make it look like we're injured so they can allow us to wear the flip-flops inside. Our favorite place to hangout before which we called Yosihan is not there anymore because there was this big hotel built beside the school. The old abandoned bank is now a hotel. Good times, good times! 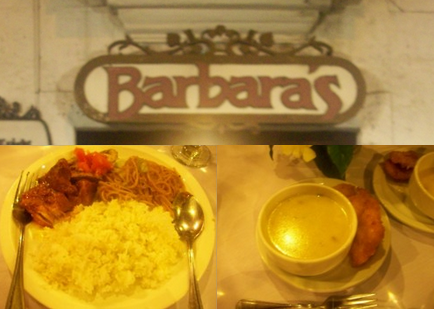 We roamed around school for 20 minutes or so and we headed to Barbara's to have our dinner buffet. 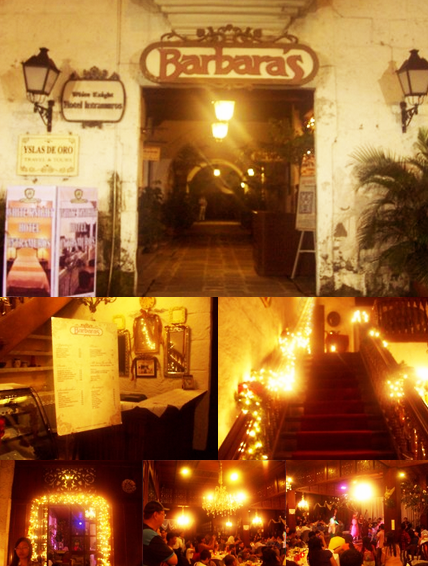 Barbara's facade and the lavish and festive interior. The place was packed. I think we arrived during the cultural dancers' performance. 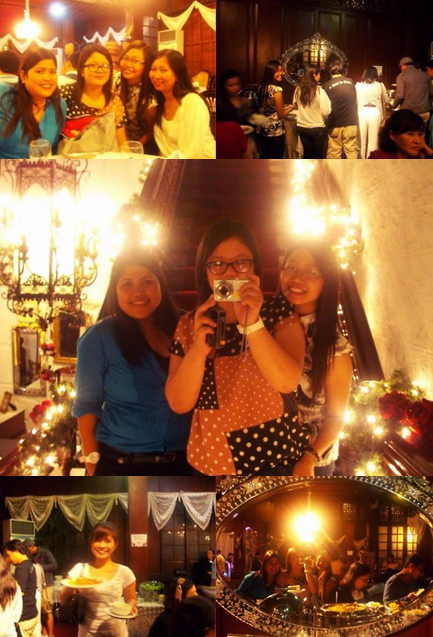 The atmosphere was very cozy and jolly and everybody was having a great time. People were mostly big families and foreigners. A delicious meal with your friends, great way to start the night! After the food, we decided to go to Beer Garden for a couple of bottles (except me and Ton). Of course, it was non-stop laughter brought to you by the memories of the past. Fun times, drunken times, failing grades, having all the reasons in the world to drink and having no reason but still gonna drink anyway! We were a crazy, crazy bunch back then! I can say that we all grew up a little polished here and there but our inner wild child will always be there. A half hour after midnight most of us went home (including me). 'Til we see each other again guys and I hope we're complete next time!